Once again I went looking for some long sleeved tops and came back with something else. I really gotta learn to stick to my shopping plan, but I just couldn't leave this hanging. 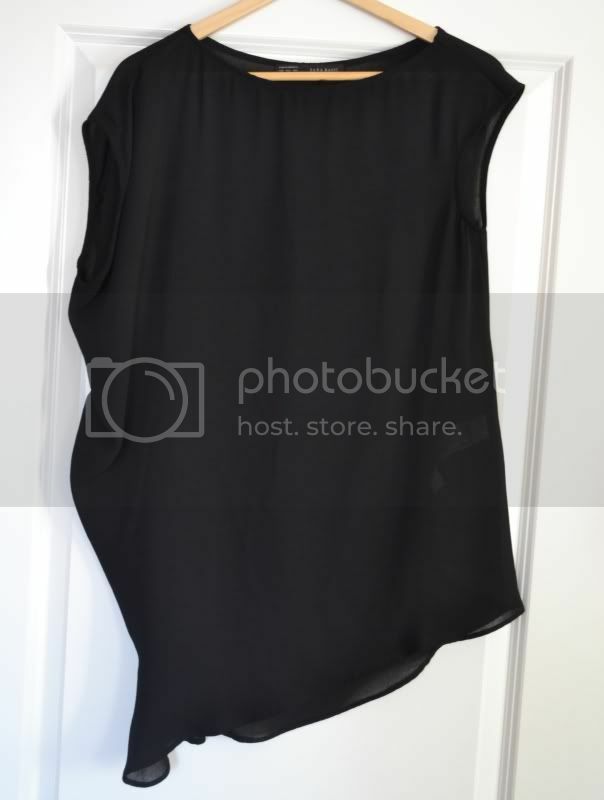 The sheer fabric and asymmetrical cut of this top makes that this has a good chance of being on of my favourite basic items. PS holiday is over and work life started again today. Even though I'm sad our time off together is over, I also love being at work again and also everyday that goes by is one day closer to my birthday. WOOOT! Nice choice! It's not what you wanted to buy, but I'm sure you'll wear it a lot. hihi, altijd leuk, die 'voorpret' toch? ;) veel succes met werken! wat doe je? ben benieuwd! omg this is such an amazing buy!! love!